St. Andrew & Dundee Universities O.T.C. Very quickly we recognise Pipe Major Ian Duncan, and next to him Pipe Corporal "Gus" Clark. Tell me more and identify them. I was having a look at your site and noticed you have a wee page on Tayforth UOTC (my "other" band). his sporran, which would confirm this. The Pipes and Drums are an important part of the unit, representing Tayforth by playing at various events. A Sqn, B Sqn and C coy. Band practice takes place on Tuesday nights at Park Wynd in Dundee, and also on the occasional weekend throughout the academic year. The band is led by Pipe Major Brian Elrick, formerly Pipe Major of Stonehaven Pipe Band, Aberdeen UOTC Drums and Pipes, and 51st Highland Division Pipes and Drums. 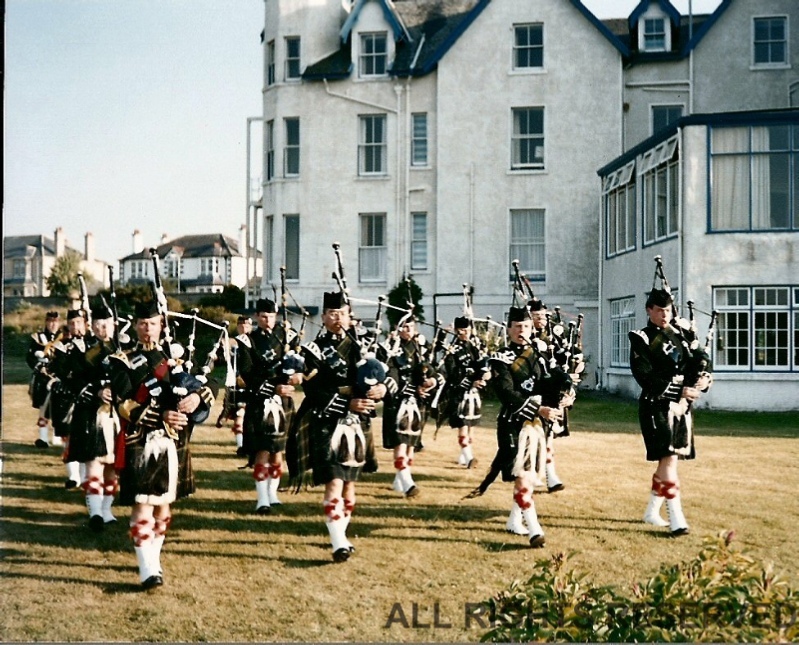 Pipe Major Elrick is a former winner of the Macallan trophy at the Lorient Festival, and has also been a member of the Vale of Atholl Pipe Band and Polkemmet Pipe Band. He is currently in charge of the piping programme at Glenalmond College.